Jodie Prenger leads the cast in Abigail’s Party, Mike Leigh’s groundbreaking comedy classic which wreaks havoc at Theatre Royal, Glasgow, from Monday 4 - Saturday 9 February as part of a UK tour. The story set is in 1970s suburbia and its heavy mix of free-flowing cocktails, classic disco and cheese and pineapple sticks. Beverly and husband Laurence who are throwing a party for their newlywed neighbours, Tony and Angela. Joining them is highly strung Susan who’s been banished from the party of her teenage daughter, Abigail. As tensions rise and tempers flare, the sheen of respectability is torn away by the warring couples with hilarious and potentially disastrous consequences. Jodie landed the role of Nancy in Cameron Mackintosh's revival production of Oliver! at the Theatre Royal, Drury Lane after winning BBC 1's I'd Do Anything. She won the 2010 Whatsonstage Theatregoer’s Choice Award for Best Supporting Actress in a Musical. She then went on to play The Lady of The Lake in the Spamalot UK tour and in the West End at the Playhouse Theatre, and Dolly in the National Theatre's production of One Man Two Guvnors at the Theatre Royal Haymarket. 2015 saw Jodie star in the title role of Calamity Jane on the UK No. 1 Tour followed by a Christmas run of Annie at the New Theatre, Oxford in the role of Miss Hannigan. In 2016, Jodie starred in a new UK tour of Andrew Lloyd Webber’s one woman show Tell Me On A Sunday and in the autumn, Jodie reprised the role of Madame Thenardier in a special production of Les Miserables in Dubai Opera Theatre. Jodie has guest presented for Elaine Paige and Paul O’Grady on many occasions with BBC Radio 2. Other BBC Radio 2 appearances include Wogan, co-hosting Going Out With Alan Carr, Chris Evans’ Breakfast Show, The Olivier Awards 2010 and Children in Need 2009 with Graham Norton. 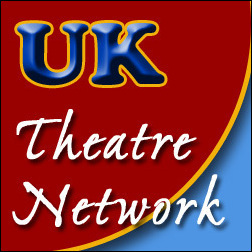 Recently, Jodie starred in the one-woman UK tour of Shirley Valentine, and has just finished playing the role of Kelly in the production of Kay Mellor’s Fat Friends on its UK Tour with music written by Nick Lloyd Webber. 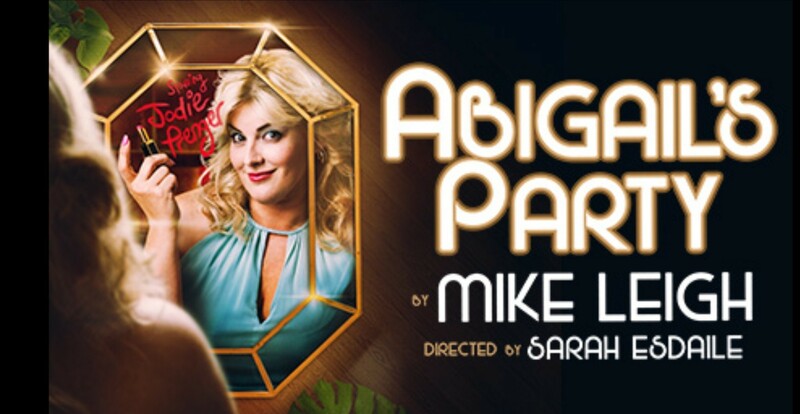 Abigail’s Party is a a co-production between ATG Productions and Smith and Brant Theatricals by arrangement with Theatre Royal Bath, directed by Sarah Esdaile. Kirstie Niland Looking forward to seeing this when it come to Blackpool.